← Who’s Got The Knits? The Evolution Of Bread . . . Bread is probably the most recognisable food-stuff known to man. It is one of the oldest prepared foods in so many countries around the globe. It is a staple food in Europe, European-derived cultures such as the Americas, the Middle East and North Africa. It has worldwide Cultural, Political and Religious significance. Except of course in those Eastern Asian countries where the staple equivalent is rice. 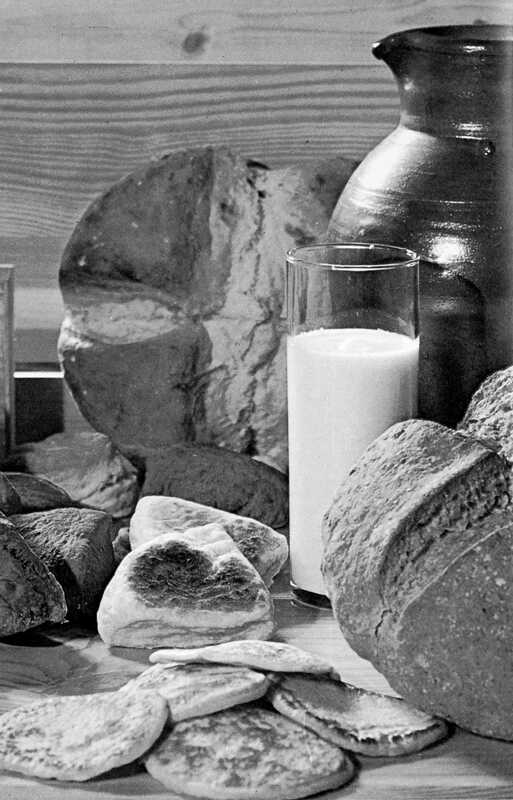 To compare it with such absolute necessities as air and water may be going a tad too far, but it is up there with salt and calcium (milk) Man, being an omnivore can live with or without meat but bread, rice and potatoes, are essential to basic sustenance. 30,000 years ago in Europe there is evidence of starch residue on rocks that were used for pounding of plants. The root extracted from plants such as cattails and ferns, was spread on a flat rock, placed over a fire and cooked into a primitive form of flatbread. 10,000 years ago, with the dawn of the Neolithic age and the spread of agriculture, grains became the mainstay of making bread. The trade of the baker is one of the oldest crafts in the world. 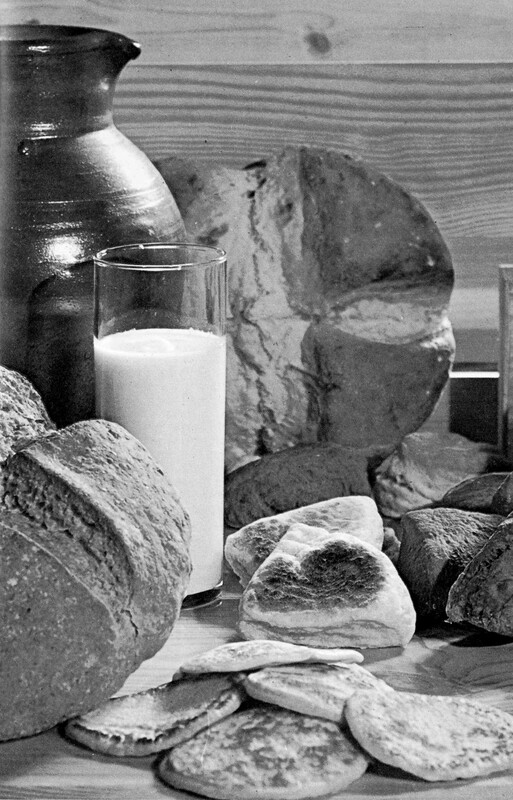 Loaves and rolls have been found in ancient Egyptian tombs. In the British Museum’s Egyptian galleries you can see actual loaves which were made and baked over 5,000 years ago. Also on display are grains of wheat, ripened under the same ancient sun that shone on the Pharaohs. Yeast spores are ubiquitous. Any ‘dough’ left to rest for long enough will become naturally leavened. Airborne yeasts could be harnessed by leaving an uncooked dough exposed to the air for some time before cooking. 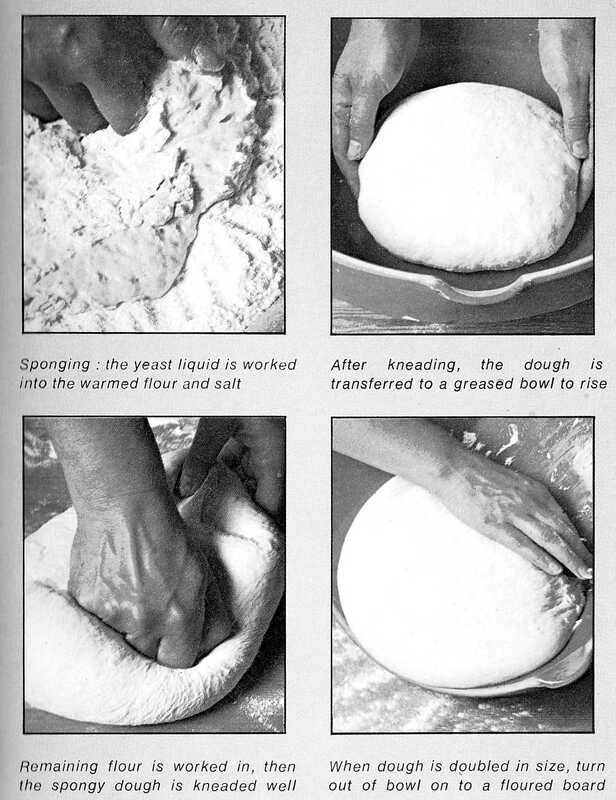 The most common source of leavening was to retain a piece of dough from the previous day to use as a form of sourdough starter. The word companion derives from the Latin com- “with” and panis “bread”. But the cultural importance of “bread” goes beyond slang. It serves as a metaphor for basic necessities and living conditions. The term “breadbasket” is often used to denote an agriculturally productive region. In Slavic cultures bread and salt is offered as a welcome to all guests. Bread is usually made from a wheat-flour dough that is cultured with yeast, allowed to rise, and finally baked in an oven. Owing to its high levels of gluten (which give the dough sponginess and elasticity), common wheat is the most common grain used for the preparation of bread. But bread is also made from the flour of other wheat species (including durum, spelt and emmer), rye, barley, maize (or corn), and oats, usually, but not always, in combination with wheat flour. Spelt bread (Dunkelbrot) continues to be widely consumed in Germany. Emmer bread was a staple food in ancient Egypt. Canadian bread is known for its heartier consistency due to the high protein levels present in Canadian flour. Wholemeal bread contains the whole of the wheat grain (endosperm and bran). It is also referred to as ‘whole grain’ or ‘whole wheat’ bread, especially in North America. Wheat-germ bread has added wheat germ for flavouring. Roti is a whole wheat based bread eaten in South Asia. Chapatti is a larger variant of Roti. Naan is a leavened equivalent to these. Granary bread is made from flaked malted wheat grains and white or brown flour, and trademarked to Hovis. The standard malting process is modified to maximise maltose/sugar content but minimise residual alpha amylase content. Other flavour components are imparted from partial fermentation due to the particular malting process used and to Maillard reactions on flaking/toasting. This entry was posted in Breads, The Evolution Of . . . and tagged bread, friend, larder, leavening, oven, potatoes, sugar, yeast. Bookmark the permalink.